2017 was quiet when it comes to NetEnt’s expansion in New Jersey, but this year the NetEnt Games went live at two New Jersey online casinos. It was in July that the award-winning games went live with Hard Rock in New Jersey and today NetEnt announces that the same goes for Ocean Resort. In September 2015, NetEnt signed an agreement with GameAccount Network Plc (GAN) to supply the award-winning games through GAN’s Simulated Gaming platform in the US. It’s thanks to this network that the esteemed games from NetEnt became available with Empire City Casino in New York, San Manuel Digital in California, and Parx Casino in Pennsylvania and now Ocean Resort in New Jersey can be added to the list. However, Simulated Gaming does not include real money bets, giving players the opportunity to purchase virtual currency used to extend time playing the games online with potential winnings being non-cash. And even though no real-money bets are involved, it is giving NetEnt the opportunity to reach players and build loyalty prior to potential new state regulations. When NetEnt Games are running on the GAN platform, players can enjoy NetEnt’s full offering and Free Spins. New Jersey, however, is one of the few states that regulated online gambling and many operators have introduced the NetEnt Games to their players including with bwin.party, the Borgata brands, Caesars, Golden Nugget, Resorts Casino, PokerStars, Tropicana, and Hard Rock Hotel & Casino Atlantic City in New Jersey. After successful technical integration, a broad selection of NetEnt’s popular games are available with Ocean Resort Casino New Jersey, and more slots are being rolled out over the coming weeks. 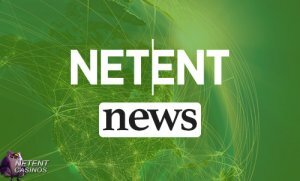 Although today’s announcement involves a GAN partner, it still results in a further expansion for NetEnt in the North American online casino market and the list of esteemed customers in the US state is getting longer and longer. It was in 2015 the company announced the exciting expansion to North America with New Jersey being one of the first US states to regulate online gambling. It wasn’t long after NetEnt’s establishment in New Jersey that the Swedish company signed its first few customer agreements with bwin/Borgata, Caesars Interactive Entertainment, Golden Nugget, and Resorts Casino while a cross-patent licensing agreement was signed with IGT for the entire North American market. In the same year, NetEnt received a transactional waiver from the New Jersey Division of Gaming Enforcement allowing the company to launch its online casino products at Borgata and bwin.party brands and thanks to this temporarily license, the first NetEnt Games went live in New Jersey in October. 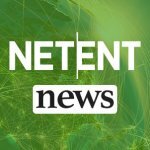 As far as I know, NetEnt is still patiently waiting for its Casino Service Industry Enterprise Licence to be approved by the New Jersey Division of Gaming Enforcement (DGE) and games are still legally offered via the transactional waivers the company received for each new customer signed in the state of New Jersey.